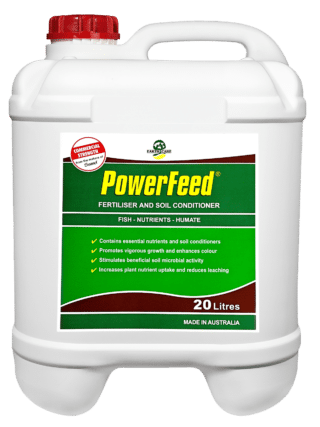 PowerFeed is a fortified fish fertiliser, that is blended with liquid humus to produce a highly efficient complementary liquid feed with dual action benefits for plant growth and soil condition. 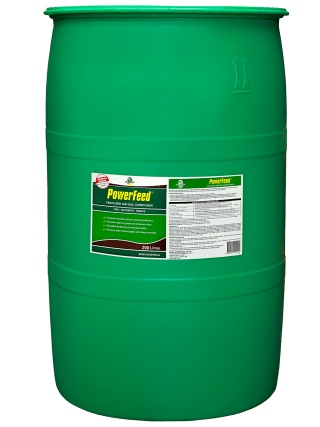 PowerFeed is an all-purpose plant fertiliser that also supports the growth and activity of biological communities in the soil. It provides both immediate and extended nutrient availability, together with ongoing benefits for improved soil structure and biological activity. 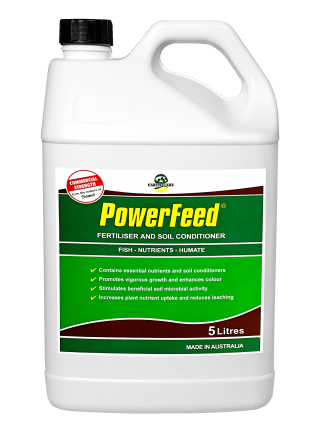 PowerFeed is best used in conjunction with an existing fertiliser program to maximise the effectiveness of the fertiliser. For optimum effectiveness PowerFeed should be applied every 2-3 weeks from transplanting or the commencement of active growth. It is suitable for use as a soil application via boom spray or irrigation, or as a foliar spray. 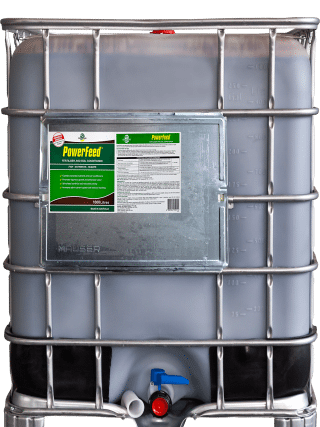 PowerFeed is 100% soluble and can be applied either to the soil or the foliage. It is suitable for application by conventional spray equipment including air blast sprayers, multi row sprayers, boom sprays or fertigation equipment. Best practice requires that application be avoided under extreme weather conditions.